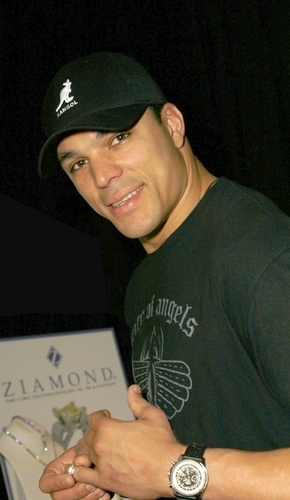 Tony Gonzalez visited us at Ziamond Cubic Zirconia CZ Jewelers and tried on a variety of Men's Rings. Ziamond Cubic Zirconia CZ Jewelry features an extensive collection of Men's Rings in the many popular styles of today. All Ziamond cubic zirconia cz jewelry is set in 14k gold, 18k gold or platinum.